Municipal swimming pool, renovated in 2009. 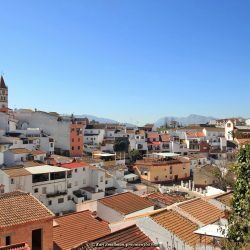 Situated in Atajate, Restaurante Venta El Paisaje provides accommodation with free WiFi and access to a garden with a terrace. A continental breakfast can be enjoyed at the property. The restaurant at the apartment serves European cuisine. 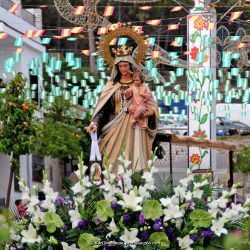 The nearest airport is Malaga Airport, 68 km from the accommodation. 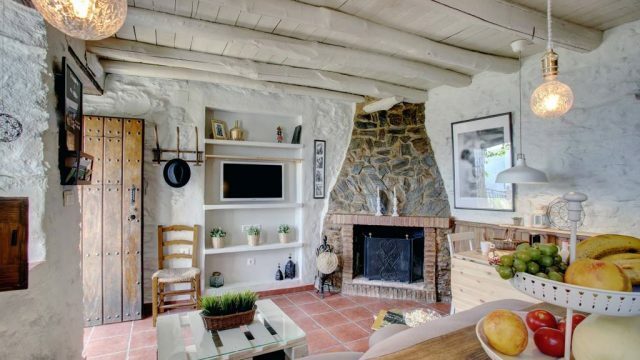 Cozy stone, lime and wood house. With space for two people, it has a living room with fireplace, dining room and kitchen on the first floor. The room and the bathroom, located in a beautiful attic, leads to a terrace from where you can enjoy incredible views of the Genal Valley. 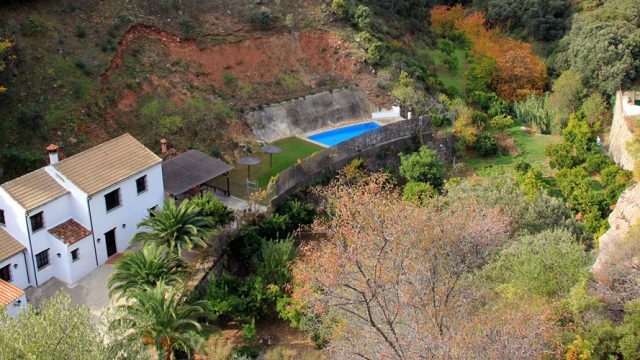 The house is located in the upper part of the village from where the views of the chestnut forest and the Valle del Genal are a real treat for the senses. Dine by candlelight on our terrace, stroll through the streets of the village, sit in one of its bars to taste one of its wonderful tapas, enjoy a breathtaking walk under blue skies. 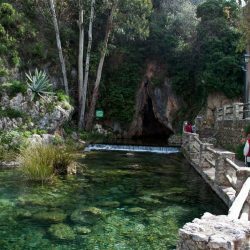 Located at the edge of the Los Alcornocales Natural Park the hotel, hostal and restaurant are perfect for families, walkers and nature lovers. 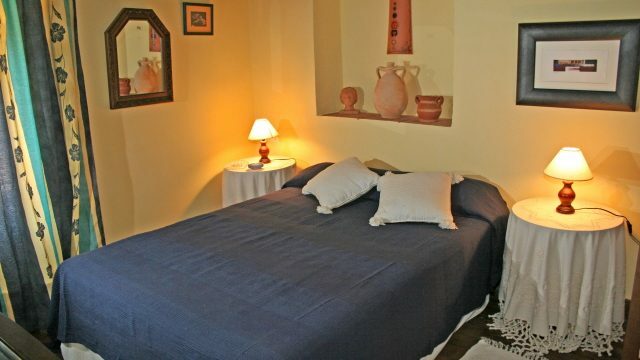 There are comfortable double bedrooms, triples and two dormitories for groups of 24 people. All bedrooms have ensuite bathrooms, air conditioning or heating and wifi. The restaurant serves traditional cuisine and local produce. Wellness packages can be arranged as well as adventure activities such as horse-riding, mountain biking or walking and bird-watching. 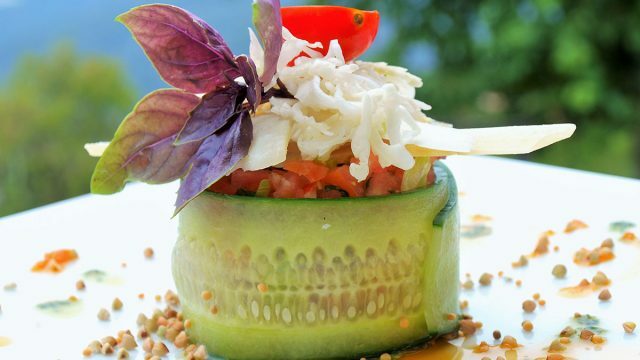 Azulete is a family-owned restaurant, run by mother and son team, Elisa and Javier. 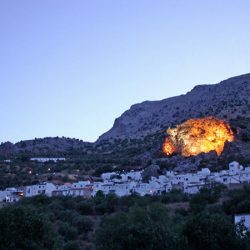 Their aim is to offer a contemporary take on traditional Spanish and Mediterranean cuisine, utilising the abundance of fresh garden produce available, together with locally-sourced meat and fish. 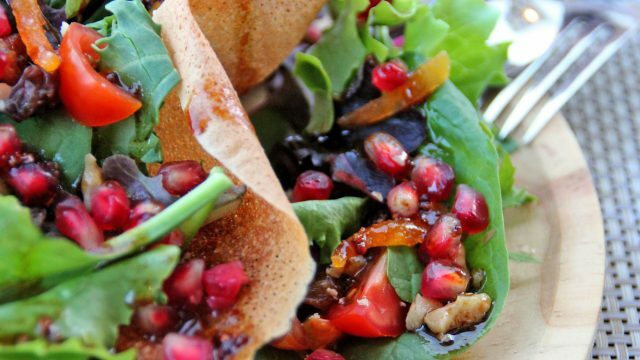 Their dishes provide a combination of characteristic flavours from the cuisine of the Mediterranean, where each of the ingredients is cooked with expertise and passion. 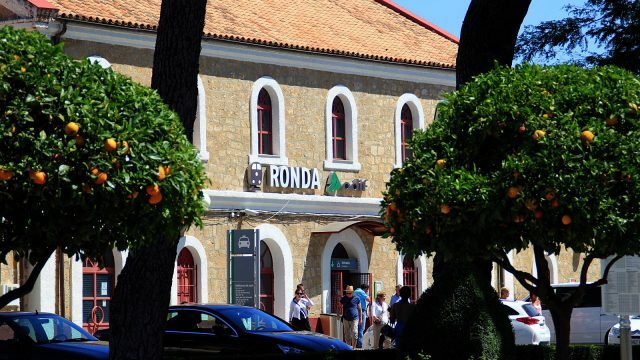 The Serrania de Ronda’s only Michelin-starred restaurant is a place not to be missed! 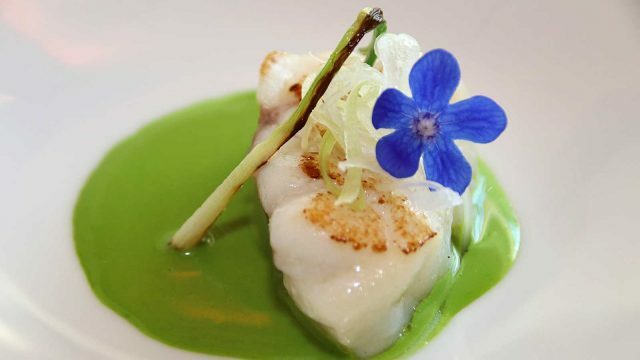 Chef Benito Goméz offers diners a culinary experience in which the food is the undisputed star. Without barriers or established rules there is an exclusive menu of some 16 and 21 elaborations, all accompanied by an extensive and select wine cellar, if you wish. 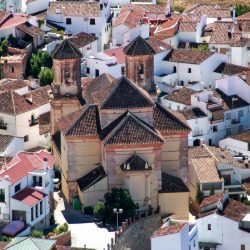 The Mayor of this pretty village near Ronda is Melchor Conde Marín. 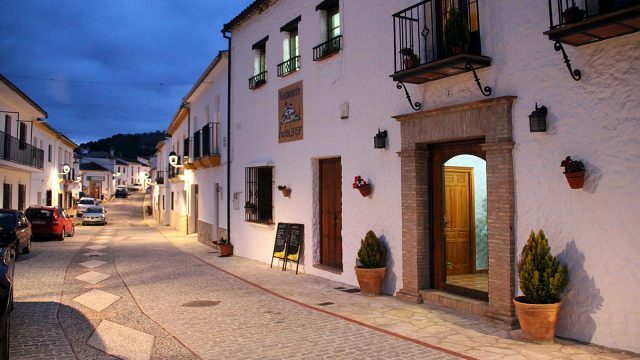 The doctor visits the village on three mornings a week (Mondays, Wednesdays and Fridays) from 11:00h – 14:00h. Enter the waiting room, take a ticket and wait your turn. Tickets are not issued after 13:15h. Private family house. Five double rooms with en suite bathrooms. Kitchen and dining room. Sitting room. Patio. Telephone. Wi-Fi. Heating. TV. 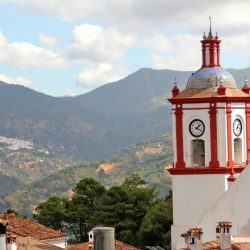 Pujerra has had a town council since 1814 when Fernando VII bestowed up on the category of independent town thanks to the heroic participation of Pujerreños in the defense of the Serrania against the French invaders. Málaga Airport, officially Málaga–Costa del Sol Airport since June 2011, is the fourth busiest airport in Spain. It is an important airport for Spanish tourism as it is the main international airport serving the Costa del Sol. 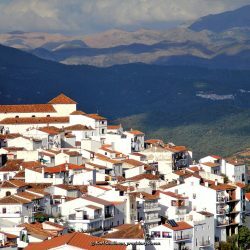 It is 8 km (5.0 miles) southwest of Málaga. The airport has flight connections to over 60 countries worldwide, and over 13.7 million passengers passed through it in 2014. The airport operates with three terminals. The third terminal adjacent to the previous two opened on 15 March 2010, and flight operations started on 16 March 2010. A second runway opened at the airport on 26 June 2012. Málaga Airport is the busiest international airport of Andalucía, accounting for 85 percent of the region’s non-domestic traffic. It offers a wide variety of international destinations. 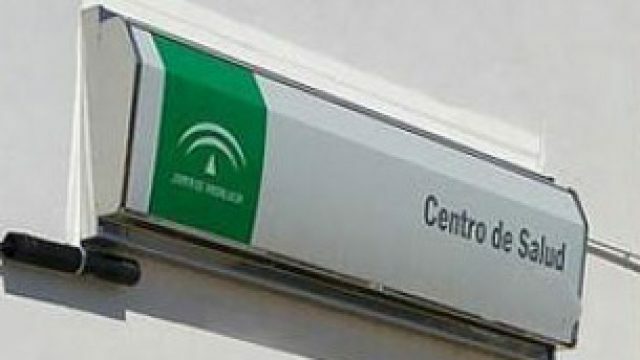 The airport has a daily link with twenty cities in Spain and over one hundred cities in Europe. Direct flights also operate to Africa, the Middle East and also to North America in the summer season. Airlines with a base at the airport are Air Europa, Norwegian, Ryanair and Vueling. Holiday home with character in a very private country setting. Beautifully restored old blacksmith’s forge that has been in the same family for generations. 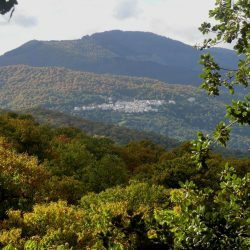 Reached by a short track a few kilometres from Gaucin the property is surrounded by unspoilt countryside where goats, sheep and cattle still graze. It has four bedrooms and a lovely swimming pool in the garden. 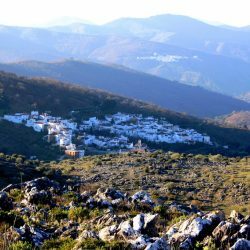 Fernando Fernández Bautista is the Mayor of Faraján, a white mountain village located on the right side of the Genal River. 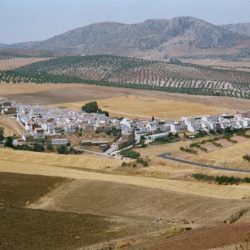 Miguel Ayala García is the Mayor of this white village which has recently become independent from Ronda. 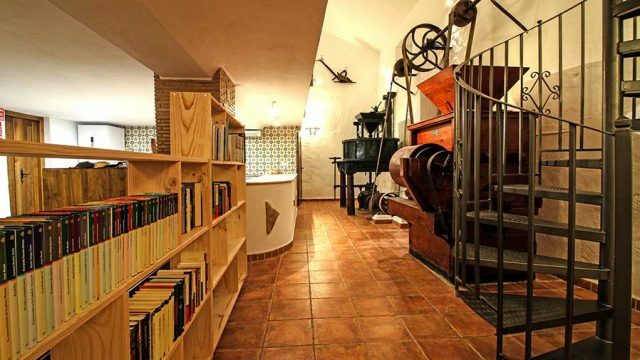 A gem of a bar hidden in the Serrania de Ronda. With great mountain views it is ideal for tasting one of its many beers from around the world. It’s right next to the train station and where better to wait for the train? The owners, Paul and Synnove, are very friendly. 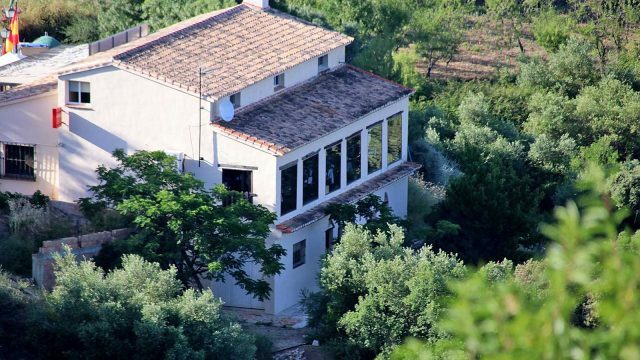 Bar Alliolli was one of the stops of the British Prime Minister David Cameron during hiking route when he was holidaying in the Serrania de Ronda. Allioli is also well known for its annual Music Festival and the Oktober BierFest. Live music most weekends through the summer. Crystal-clear and exceptionally cold water rushes out of the mountainside and into a natural lagoon. 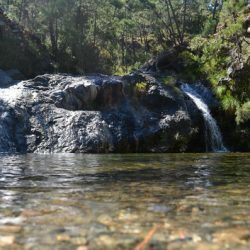 A fantastic spot for a picnic and/or to cool off after a morning’s sightseeing in the Serrania Ronda. 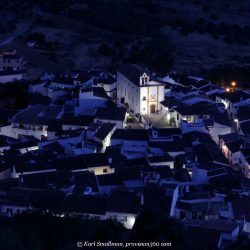 Take the road from Ronda to Benaoján and look for a parking area on the right. 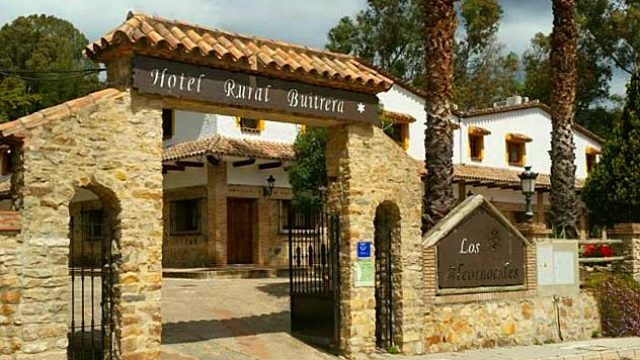 There’s a small sign for the hotel/restaurant Cueva del Gato to help you locate it. Park at the top and walk down the concrete road to the hotel. Cross the wooden footbridge (in need of repair) over the river, and then under the railway bridge. If you head up to the mouth of the cave be careful – the stone steps can be slippery and there is no handrail. It is forbidden to venture into the cave. 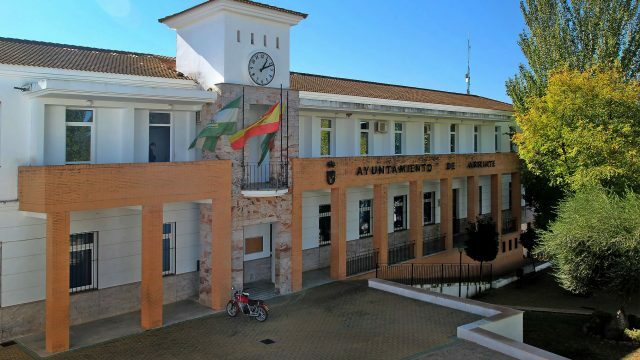 David Sánchez Muñoz leads the Town Hall of Jubrique, a white mountain village in the Genal Valley. Pharmacist Isicio Henares Villoria. Opposite the healthcare centre, you will find the pharmacy to get your prescriptions and other pharmaceutical products. Igualeja is the village where the Genal River is born. 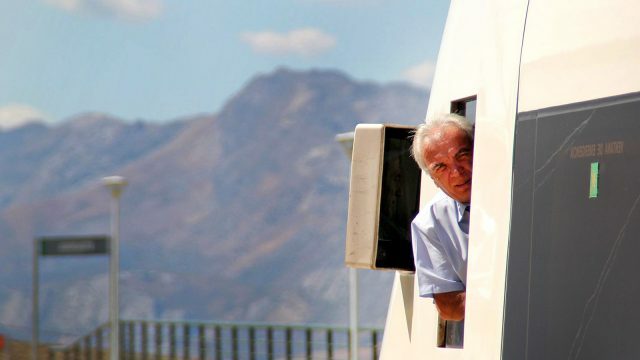 The Mayor is Francisco Escalona Macías. 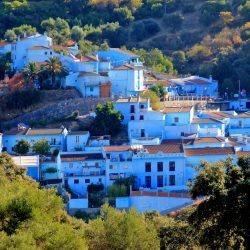 Francisco Javier Benito Tirado is the Mayor of this pretty village located in the north of the Serrania de Ronda. A bar and restaurant with a tradition from its roots. From 1933 until now, three generations of the same family have run the Bar Restaurante Barroso. 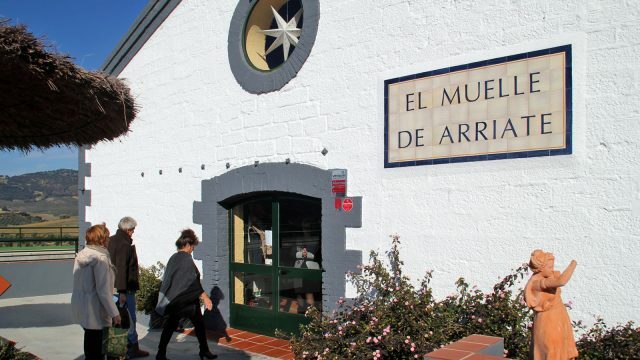 In 1933 there was Sebastian Jarillo Lobo and Antonia Gil Delgado and his asadura de chivo en salsa, and the first bar with radio and coffee. After another generation with Jose Barroso Rodriguez and Antonia Jarillo Ramos, who used the bar as a complement to his butchers shop and specialised in Ibérico pork with only one fish tapas, the Pavía, which had many followers. Following the family tradition it is still run by the family and their children – following the same traditions of yesteryear. 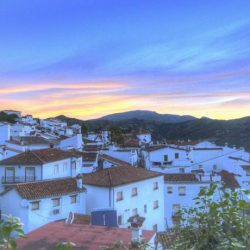 Molino del Santo is a beautiful rural boutique hotel tucked away by a mountain stream near Ronda. 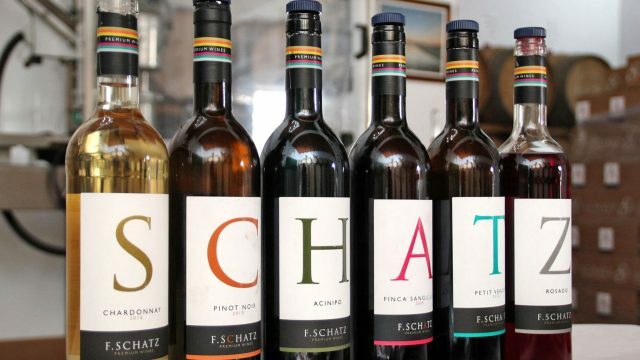 Family-owned, it has been owned and managed by Andy Chapell and Pauline Elkin since its beginnings in 1987. 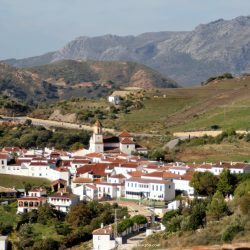 Molino has won many awards over the years including “Best Countryside Hotel in Spain”, “Most Romantic Hotel in Spain” and for the last five years has been the winner of Trip Advisor Awards. 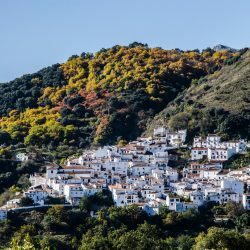 Whether you are looking for a place for a romantic weekend away, a short relaxing in the gardens or by the pool, a week’s walking or exploration of the stunning Grazalema Natural Park a place for a family holiday or to celebrate a special event, Molino del Santo is the ideal place to visit for your holiday in Southern Spain. Our camping resort (camping, apartments and restaurant) is a family business with more than 25 years of experience. Our main priority is to give our clients the opportunity to rest and enjoy their timewith family and friends. So if you are looking for some peace and rest, we want to be your destination! 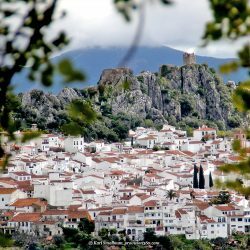 We are located just one kilometre away from the picturesque and historic city centre of Ronda. 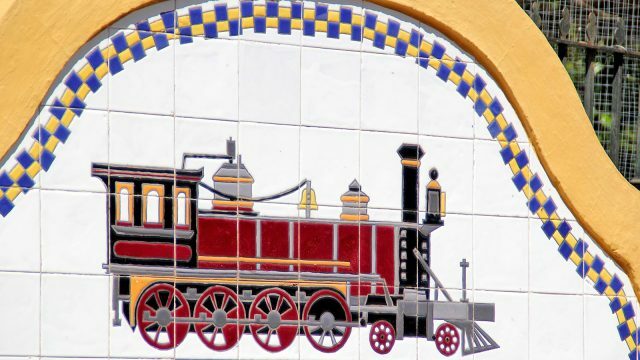 If you take the road from Ronda to Algeciras or Gibraltar, we are situated to the right of the A-369. 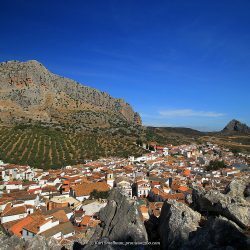 We are surrounded by lovely views to Sierra de las Nieves Nature Reserve and we have the privilege to gaze at the spectacular evening skies in Sierra de Grazalema Natural Park. 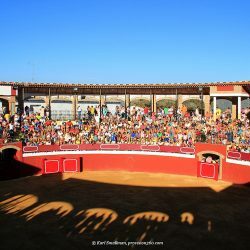 You will be able to enjoy the incredible panoramic views of Ronda, where the first “Royal Cavalry Order of Ronda” (Real Maestranza de Caballería de Ronda) in the world is located, as well as its city centre riddled with historic buildings and the world-famous gorge spanned by its ‘new’ bridge. What are you waiting for? Come and visit us. You will not regret it! 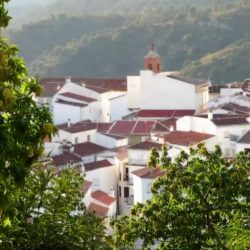 Maria Auxiliadora Sánchez González is the Mayoress of the smallest village of Malaga province. 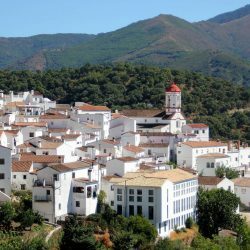 The Mayor of this village, also known as the Balcony of the Serrania, is Pedro Godino Martín.